If you are a pharmaceutical or medical meeting planner, Monterey County understands your needs and will exceed expectations for an inspired meeting experience. We have partnered with the following hotels to accommodate Open Payment price structures, providing reporting information quickly and completely so that compliance issues can be a little easier. You can view these hotels in a comparative format or add them to an RFP request by clicking here. If you choose to refine your search, please be sure to recheck the PHARMA box in the filter options. 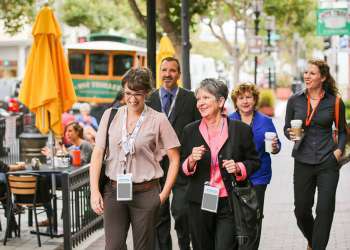 Download our Monterey Medical Meetings brochure or for more information regarding this program and other services for our medical meeting planners, please contact our team by email at sales@seemonterey.com.